"If ever there was a time, if ever there was a season, if ever there was a cause that cried out for men of purpose and men of purity to step forward and draw upon the powers of heaven, it is today." So writes author Robert L. Millet. 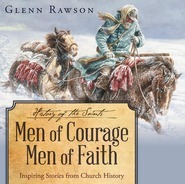 This inspirational book uplifts and encourages the men of the Church, helping us to recognize the opportunities the priesthood brings to bless and enrich the lives of those around us. All men will appreciate this call to purify their lives, to set themselves apart from things of worldliness, and to become a royal priesthood and a holy nation -- to become mighty men of valor! I bought this for my husband for Father's Day and he loves it. He's regularly telling me about what he's read and it's importance for not only him, but for myself and our children. This book has already inspired him to make small but meaningful changes and he's not even finished it yet! Great addition to our library and our lives. 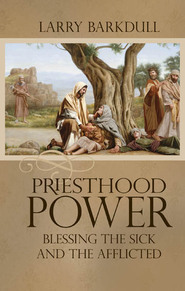 This is a great book to help remind all priesthood holders of their purpose and importance in society and life. It is a real easy read and flows wonderfully from topic to topic with a textbook type review after each chapter. I recommend reading the questions at the end of each chapter before reading the chapter to get the most out of the reading. I bought this for my husband for Father's Day. It is a must read for priesthood holders. This helped remind me of the expectation, our Heavenly Father and I have for myself as the man I need to be-no matter what..
What has been written for us by Robert Millet, is an asset of reminding of the consistancy of 'THE BAR HAS BEEN RAISED' for all of us and our families. We are reminded, we have the ability, desire, faith, and knowledge to follow thru in our positions/responsibility as husbands, fathers, sons, and brothers in Jesus Christ, both in our private family life, along with our professional environment to realistically be sons of God, in all times, in all places for ourselves and those around us as we rely on the 'TENDER MERCIES OF THE LORD'. This is a must read for every priesthood holder (or potential priesthood holder). Brother Millet helps us to see the evils and temptations of our day and helps us to understand how to rise above them and be men of God. The book contains many scripture references as well as several life experiences and practical applications. This is one that should be read more than once to fully appreciate. A GREAT READ FOR ALL FAMILY MEMBERS!! I love this book!! My father was called as bishop and was told that this was one of the best books to encourage him. And I love to read so one day I just picked it up and fell in love with it!!! It truly made me realize what kind of a future husband I want. This book was absolutely amazing and very uplifting,if I could give it 10 stars or more I would! !